Another one of my favourite places. This would require an overnight stay but it is certainly worth the trip. 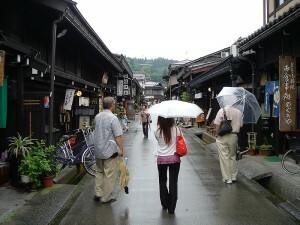 This is an old town famous for wood products, ranging from all kinds of furniture to wonderful clear lacquer ware. (All prices.) It is a great place to walk. There is a section of old shops, sake houses, wood working shops. You can take a very pleasant walk along the two small rivers that flow through the town. You can pick up a very good map in English at the tourist information centre at the train station and there are all kinds of hotels available. One reason for staying overnight is the morning market (starting at 6.00 am). There are two of them, one along the river and the other in a temple nearby. Mostly food is sold, with lots of free samples. You can spend a couple of hours nibbling your way down the street. Interesting mountain vegetables and other local products are on sale. There are signs in English directing you to the various points of interest, but do some wandering up the hills. Remember when going into the shops to look not just at the products on sale but also at the building itself which can be very interesting. In the opposite direction to the old houses and morning market, about a 20 minute walk from the train station is Hida village. This is a collection of old farm houses, most moved to escape dam projects. There is a bus that goes there, but it runs infrequently. The walk there isn’t very pleasant but worth it. There are many houses to see and you can spend a good deal of time there. Explanations are in English. You may be able to get a view of the Japan Alps although most of the time these distant peaks have cloud cover. The train ride is a long one, but the scenery along the way is beautiful as you head through the mountains along a river. From Osaka change to the Toyama line. Be sure to take the limited express; the local train takes forever. Also, be sure to check your schedules because I think there is only one train north and one south each day that is at a good time. It is possible to get there through Nagoya but that is somewhat out of the way. This is a must, if you have the time and the money. A couple of days in this area is certainly worth the expense in time and money. 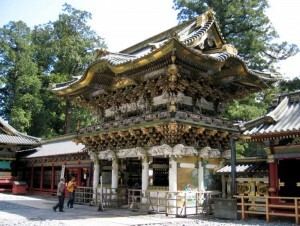 There is a beautiful shrine in Nikko which unlike Ise and Izumo is extremely decorative. Interesting walks along the river to the “abyss”. 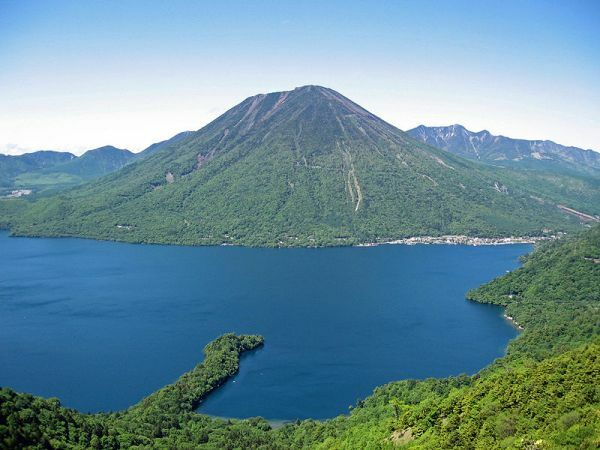 Take the Shinkansen to Tokyo and change at Ueno station to the JR Nikko line to Nikko. Or from Tokyo station take the Yamoto Line to Ueno and then the subway to Asakusa station and there change for the Tobu-Nikko Line for Nikko. You may have to change at Shimo-Imaichi. The limited express is a wonderful train but the views are not very exciting. 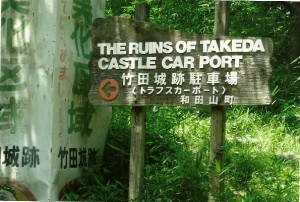 Figure three and a half hours to Tokyo and two more to Nikko. While you are at Nikko keep on going. A short bus ride up a very winding road is the town of Chuzenjiko Onsen. 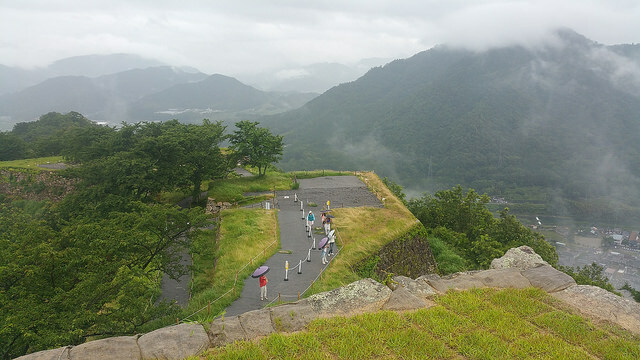 A real Japanese tourist spot in season. If you go there out of season it is empty, so stay away from Japanese holidays. This is a really beautiful spot for nature lovers. Lakes, riverse, waterfalls, lots of trails in the woods. Most hotels will have hot spring baths. 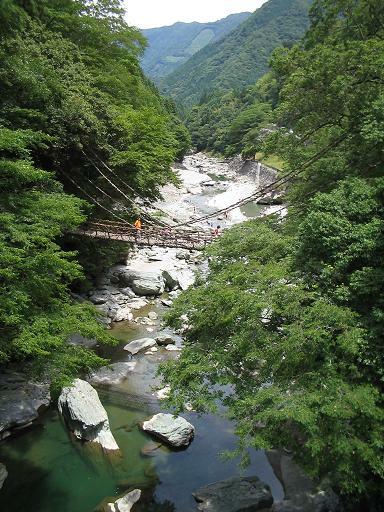 From Nikko, take a bus going to Chuzenji or to Yumoto Spa. Get off at Chuzenjiko Onsen. Right there will be Kegon Falls and a rope way to a good view of the mountains and lake. The falls are wonderful. From the bus stop you can go right or left around the lake. 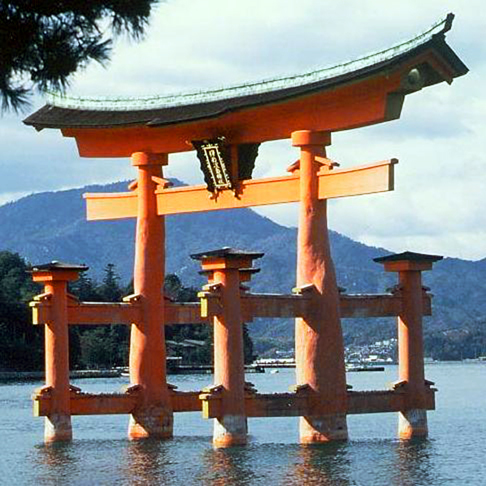 If you go left you will pass hotels and restaurants and eventually come to a shrine. Keep following the shore of the lake and pass summer houses of various countries. If you go to the right you will pass hotels and restaurants but once out of town you can walk forever. Pick up the “Salamander Trail” (I actually saw one!). This will take you right along the shore of the lake until you come to a ferry boat landing. From there follow the highway and on the right you will come to another waterfall. Follow the river upstream along a very delightful trail. You will come to an area that opens up into a mountain meadow. Beautiful views of the surrounding mountains. Flowers everywhere, in season. Eventually there will be another waterfall with some shops at the base. Walk up the right side of the waterfall and you will come to another lake. Stay to the right and you will come to Yumoto, just a collection of hot spring hotels. Look for the temple and you will find a swamp with hot springs. This is a long walk but very easy going. Give yourself about five hours, including many stops to eat and take photos. 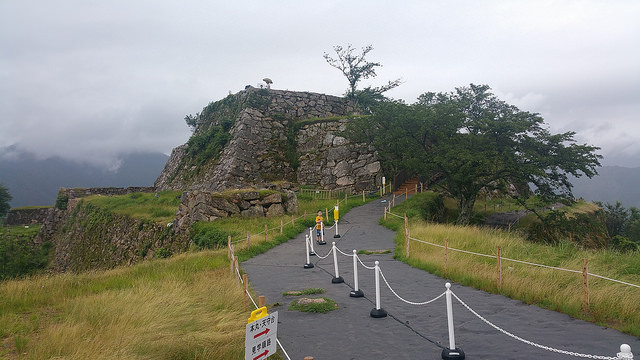 Then take the bus back to Chuzenji or Nikko. If you want to get away from it all, this is it. Not far, but certainly out of the way. This trip is to Shikoku. Take the Shinkansen to Okayama and change to the train going to Awa-Ikeda, described elsewhere. At Awa-Ikeda station take a bus to Iya Onsen. The bus stop is across the street right next to a big map. 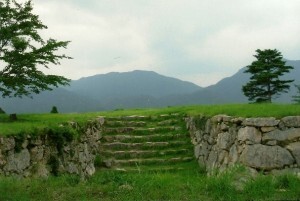 (¥ 1000). You will be on the bus for about an hour. 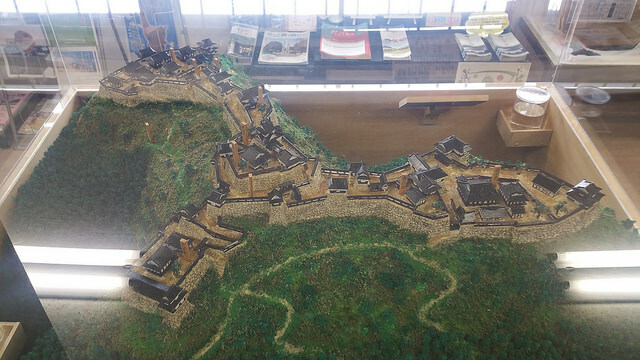 It will stop at Iya Onsen which consists of a hotel (expensive) and a rope way down to the river and onsen proper. Even if you are not a lover of hot springs this is worth the trip. At the bottom there are the baths, outside right next to the river in a deep gorge. The water is not super hot and very silky, a great place to sit. There are places to walk, bridges to cross and places to have a picnic. From the onsen you can continue on by bus (they are not too frequent) or you can walk. After a very pleasant walk (all slightly downhill) of about 3 hours you will come to Kazurabashi which is a bridge made of vines. No big thing, and there is a nice concrete one next to it. There are some inns and this is a good place to spend the night.The next morning you can reverse the trip or continue on to Oboke. To get to Oboke, take a bus (be careful – there are only three a day and the first leaves at 7.30 am). Don’t worry about getting up on time because there is a very loud air raid warning at 6.00 am. The bus will take you up into the mountains and back down again; about an hour. At Oboke there is a boat ride to Koboke and back which is worth it. 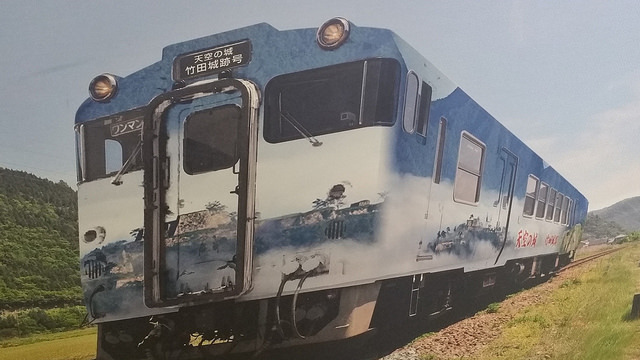 At Oboke you can get a train back to Awa-Ikeda. They run about every 2 hours.